Sexcastle Action-Comedy Teams Workaholics Duo & the Russo Bros.
We've long heard that the Workaholics gang is planning an action-comedy movie. While it was assumed to be an original work, it will actually be based on the Kyle Starks graphic novel Sexcastle. And they've landed Marvel favorites The Russo Bros. to help bring it to the screen. Joe Russo and Anthony Russo will produce Sexcastle. Blake Anderson, one of the three main leads on Workaholics, will play the central character of Shane Sexcastle. The movie will be a throwback to action thrillers of the 80s, and follows the world's 'former' greatest assassin. He is, of course, pulled back in for one last job after leaving the hired killer life for retirement in a small town. Kyle Newacheck is directing Sexcastle. He writes, directs and edits most episodes of Workaholics, which returns to Comedy Central for Season 6 this week. He also directs and produces Adam Devine's House Party, a stand-up comedy showcase hosted by other Workaholics star Adam DeVine. Deadline doesn't mention Adam DeVine and Anders Holm as being involved with the project, though it's hard to believe they wouldn't be in some capacity. 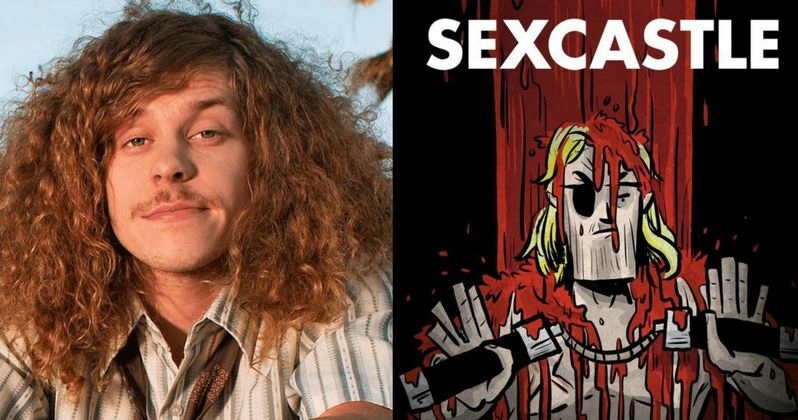 Blake Anderson is producing Sexcastle alongside Getaway Productions' The Russo Bros. and Mike Larocca. The actor has also appeared in the 2015 movies Dope and Scouts Guide to the Zombie Apocalypse. Joe Russo and Anthony Russo are currently in post-production on the first Marvel Phase 3 movie Captain America: Civil War, which they will follow-up with Avengers: Infinity War Part I and Avengers: Infinity War - Part II. What do you think? Does this sound like the best movie ever?